9 from '19: Our slightly different take on the best new stuff from the annual PGA Show. Pick a Best of PGA Show article and you’ll find those adjectives and other superlatives in nauseating abundance. I’ve been guilty of it a few times myself. Every year hundreds…thousands of products are on display at the annual self-titled “Major of Golf Business” in Orlando. A significant percentage can be counted among the year-over-year churn of the big equipment manufacturers, but there’s also a fair (though dwindling) amount of stuff that’s new, cool, and full of promise. These can’t miss products fill the countless best of lists written each year, and invariably 9 out 10 go nowhere. Good ideas hit snags, prototypes never make it to full-scale manufacturing, consumer don’t buy-in. After 5 minutes of industry impact, a good bit of the new hotness fizzles, dies, and disappears. At best, most become fodder for gearhead trivia. Does anybody else remember The Chicken Stick? This year, I’m not falling into the trap. My list is different. I’m thinking about longevity and the potential for paradigm shifts. It means I’m playing more to the mainstream. Sorry if that’s boring, but this is golf, where more often than not, the next big thing is just a fresh take on the same old thing. Embrace it, or at the very least, accept it. The products on this list may not appear to be the most innovative, most won’t disrupt the status quo (some might), but the trade-off is the virtual certainty that the majority will still exist 6 months from now. And so, in no particular order (other than how I wrote them down), here are my top picks from the 2019 PGA Show. 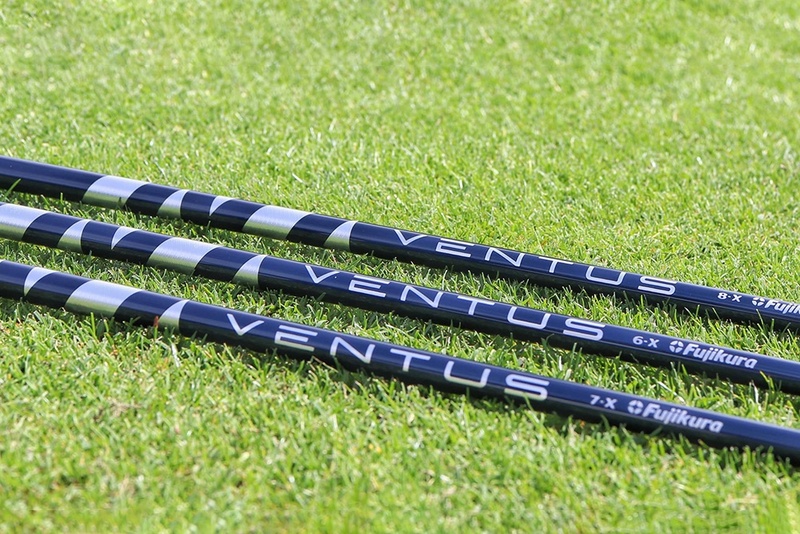 At $350 retail, Ventus is more expensive than most of Fujikura’s aftermarket models, and as you’d expect from any major shaft release, there’s plenty of talk about materials and technology. Case in point, the Ventus’ VeloCore, which is built from full-length, ultra-high modulus Pitch 70 ton Carbon fiber (the design also includes some 40 Ton material). Blah blah blah, shaft stuff, I know. To give you some semi-meaningful frame of reference, Pitch 70 is 150% stiffer than the T1100 material used in many of the popular low spin designs, and the first Ventus profile features an ultra-stiff tip section. Fuji bills it as mid-launch with low spin. We’ll dig into the construction in more detail in a future review, but the short version of the story is that Fujikura’s research with its in-house ENSO system is starting to return dividends. The company says the Ventus keeps the head more stable on off-center hits, while the accelerated taper enhances loading and feel. Fuji says that Ventus works as an MOI booster of sorts that helps preserve ball speed by better resisting twisting when you miss the center of the face. The benefit is tighter dispersion, lower spin, and more ball speed. It’s true that shaft claims are often dubious at best, but in my fitting, Ventus lived up to the promises and then some. Correction: The original text of this section noted that Pitch 70 is 150% stronger than T1100. We have updated the text to reflect that the material is stiffer than T1100, but is not stronger. While I’m sure Bridgestone would love us to talk about the new E12 or how Tiger played Bridgestone balls for nearly the duration of his Nike deal, the biggest Bridgestone story coming out of the show is the return of ball fitting. Once upon a time, Bridgestone was the leader in consumer ball fittings, but as part of a string of questionable moves by former CEO Angel Ilagan, ball fitting – arguably Bridgestone’s biggest point of differentiation in the market – fell to the wayside. 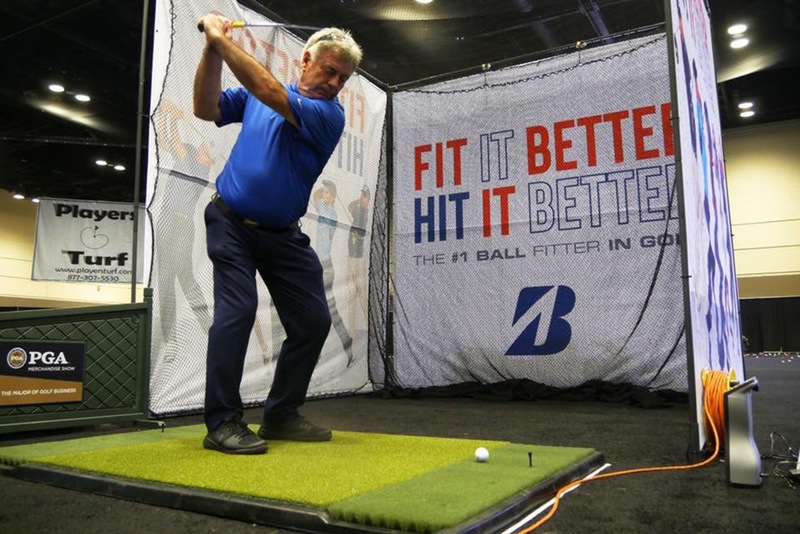 Re-launched at the PGA Show, Bridgestone ball fitting isn’t just back; it’s improved in ways that make sense. In its previous incarnation, ball fitting was driver only. The updated process brings both irons and scoring clubs into play. The timing couldn’t be better. Riding a string of recent PGA Tour victories and the success of the TIGER ball (Tour B XS), the return of ball fitting has plenty of upside for both the golfer and the Bridgestone Golf brand. Perhaps it’s a little too on the nose picking a new version of the #1 Ball in Golf™ as one of the impact products from the PGA Show, but it’s basically a given that the Pro V1 is going to get the lion’s share of tour play and is going to do well at retail as well. I’m not going to be wrong. The curiosity here is whether a yellow Pro V1 boosts interest in yellow across the entire market. There’s still plenty of monkey see, monkey do when it comes to the average golfer taking cues from the Tour. It’s why approximately 80% of golf balls sold are still white. Could that change just a little? Bubba put a yellow Pro V1x in play at the Waste Management, and if things fall into place for Titleist, maybe a couple find their way into play every week. 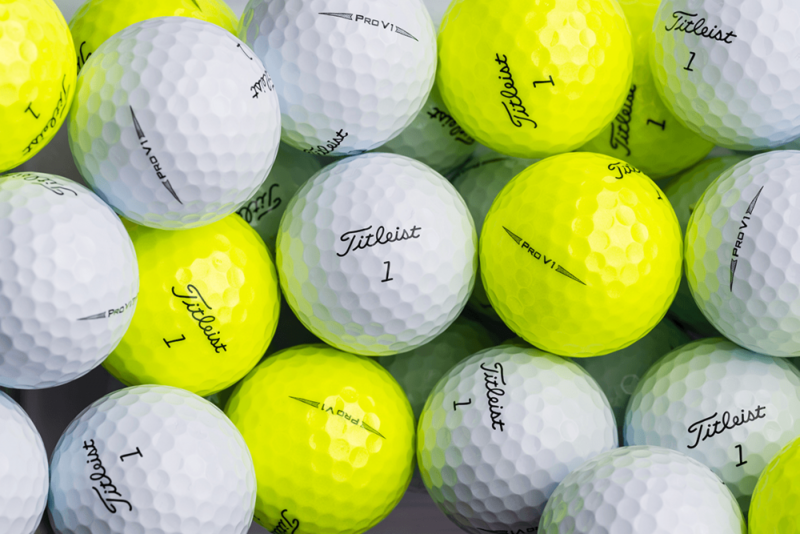 Will that help Titleist’s bottom line while pushing sales of non-white golf balls beyond the 20% mark across the entire industry? 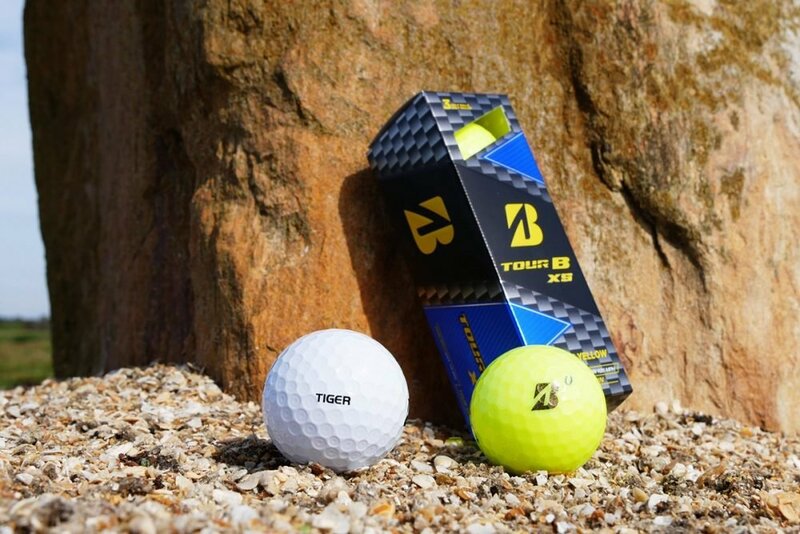 It’s worth a mention that Bridgestone is also set to release a yellow version of the Tour B XS and has its fingers crossed that Tiger will put it into play at the Masters Par 3 contest. Should that happen, there’s an even bigger chance this yellow thing gains some real momentum in 2019. 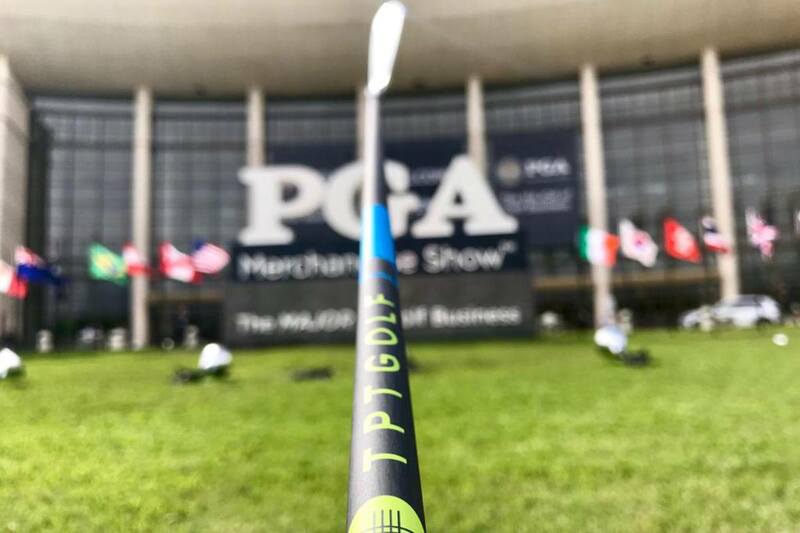 TPT didn’t have a booth at the show, but those who knew where to look got a sneak peek at what the company hopes will serve to validate and differentiate its shaft technology moving forward. We’ve covered both the good and bad of TPT’s sudden emergence as a serious player in the shaft game. The company tells us that the breakage issues are resolved and two new driver shafts (including the one Bryson has been playing) are coming this spring. That’s all well and good, but what I think has the potential to shake things up is its forthcoming line of graphite iron shafts (95 and 120-gram models). Here’s the reality. Despite there being a number of solid, tour spec’d graphite offerings on the market for the last several years, no brand has been able to crack through the PGA Tour’s steel barrier. Kuchar with his SteelFibers was as close as it got, but with a convention defier like Bryson DeChambeau already playing a TPT driver shaft, the upstart Swiss company has a legitimate shot at succeeding where every other graphite iron shaft company has failed. The serious golfer hasn’t bought into to graphite largely because the best golfers in the world haven’t bought into graphite. Might we see the start of a long slow shift this year? It’s doubtful, but I want to believe it could happen. Realistically, the price point of the shafts will put TPT out of reach of the average golfer, but it’s the potential trickle-down effect of graphite iron shafts on Tour that intrigues me. Tour use would likely shatter the stigma around graphite iron shafts for better or at least higher swing speed players. If that happens, it’s going to break the consumer market open for the likes of UST (Recoil), Fujikura (MCI, Pro, Vista Pro), and True Temper (Catalyst). At some point, something is going to replace the conventional golf cart. As much as the purists would prefer everybody walk, the logical progression is towards a single rider cart. Yes, I know it’s already kind of a thing in Europe. On our side of the pond, in one form or another, companies have been taking their shot at owning the yet to emerge space for the better part of the last decade. Two-wheel skateboard style carts can be fun, but they’re not for everyone (people crash them). Motorcycle-styled designs were the rage at the PGA Show, but even if we overlook the fact that a kickstand will likely never be viable on a golf cart, the potential to destroy courses and ruin white pants is a legitimate concern. 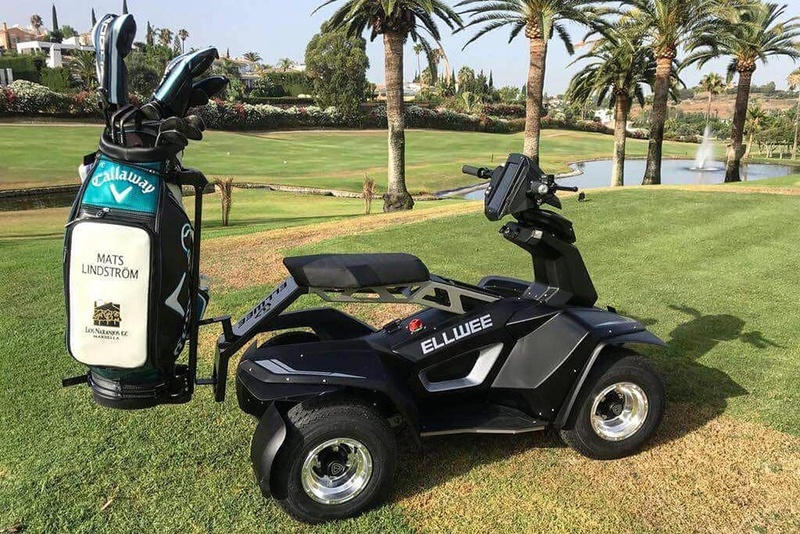 The design that goes mainstream will almost certainly have four wheels, and while our staff is partial to Elwee’s offering, what ultimately catches on will probably look a whole lot like a smaller version of today’s standard golf carts. The single rider future is not imminent; it’s going to take some effort for single rider carts to replace what we already have. Economically viability for most golf courses dictates that two single rider carts can’t cost much more than a single two rider cart. Two small carts will take up more space than regular one, so cart barn space could be an issue in some cases, as could the electrical requirements. The promised upside to the single rider cart that breaks through is improved pace of play, potentially more golfers on the course, and more time to spend in the restaurant after the round. I know, throwing Lynx on this list is a little odd. So, let me be clear. 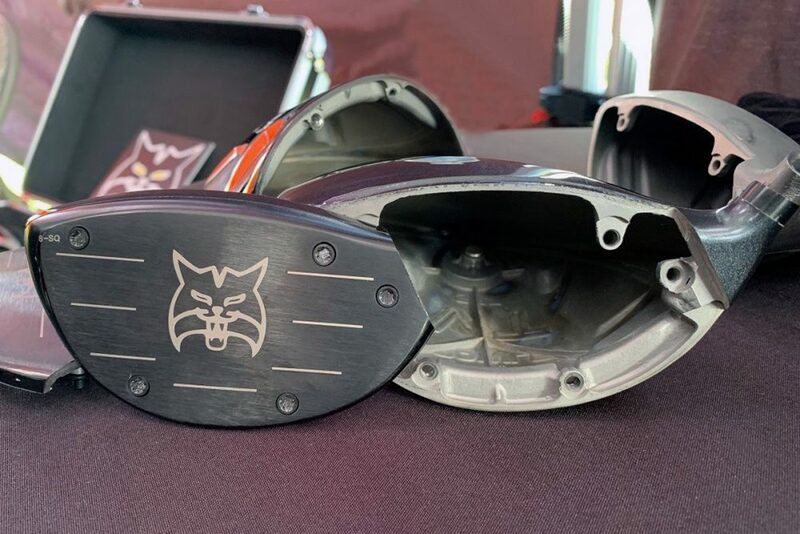 I have no expectation that Lynx is going to take over the driver market with its Prowler VT Driver with SwitchFace technology, but I love that a small brand is taking a chance on adjustability in a way that’s different. Look, I had doubts when TaylorMade decided to stick a pair of screws in its M5 and M6 drivers, so it should come as no surprise that I have even bigger concerns about Lynx relying on three additional screws to keep the face attached to the head. Still, it borders on remarkable that Lynx has generated some small amount of buzz and the design is sure to get mainstream OEMs thinking about what else might be possible. Ultimately, the Prowler VT Driver could prove to be one of those obscure but indelible footnotes that live on in golfers’ memories. A decade or two from now when a mainstream OEM takes a crack at swapping faces, somebody is going to remember that Lynx did it first…before someone else points out that DnA Golf did it before Lynx. 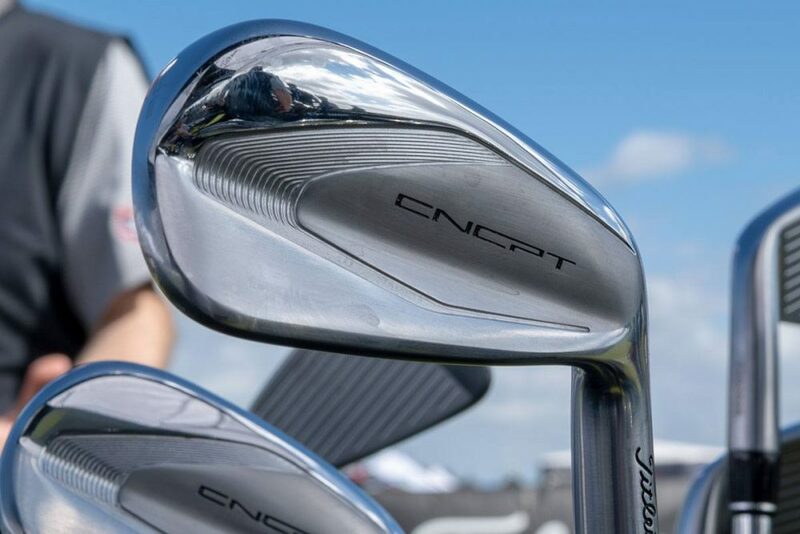 I’m not sure how much we’re supposed to be talking about the new CNPT irons, but the photos are out, there are rumors of massive yardage gains, and most of the golf interwebs knows they’re coming. The 2019 CNCPT line will feature two models, both of which will be produced in limited quantities, and both are going to cost you significantly more than a typical set of irons. When it comes to the ultra-premium market, PXG has nothing on Titleist. So why am I talking about it? The next Titleist iron will feature a new face material along with a massive amount of a more conventional material integrated into the design. In that respect, the new CNCPT iron will live up to its name. It’s a true Concept product, the kind of club everyone in the industry would love to make if actually having to sell it wasn’t a concern. What makes CNCPT cool for the rest of us is that innovation almost invariably flows downhill, so while it might take a few years, it’s likely only a matter of time before what Titleist has done with CNCPT trickles down into mainstream products that most golfers can actually afford. It’s too soon to say if the shift is driven by innovation or just opportunity, but there are plenty of signs that suggest that the putter shaft is about to get a mainstream upgrade. Last year BGT released its Stability Shaft, and while I’ve become a believer, it’s Odyssey’s Stroke Lab Shaft that’s poised to have the biggest market impact. While both shafts promise increased consistency, Odyssey’s Tempo Enhancing Design makes similar stability promises without the extra weight that comes with the BGT offering. Of course, if weight proves to be the thing that matters, BGT has a better chance, so does the new KBS C-Taper putter shaft that comes standard in TaylorMade’s new Spider X. 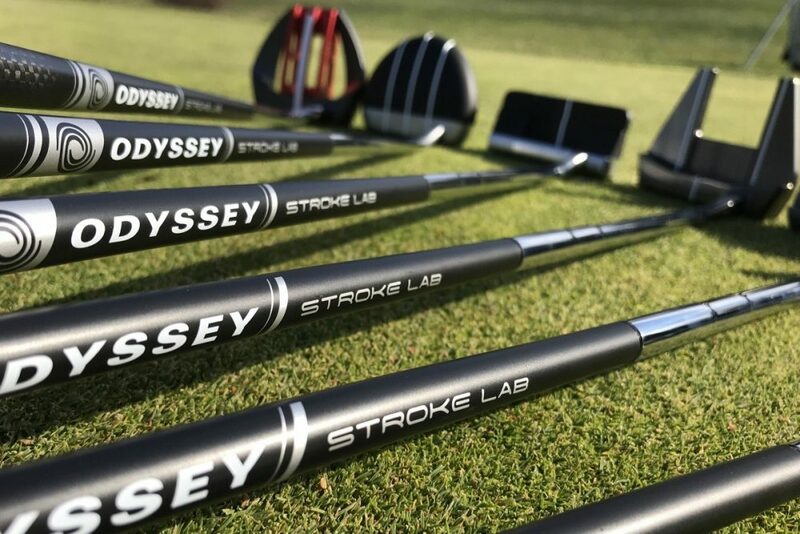 Given Odyssey’s market position, however, and that fact that it’s going all-in with Stroke Lab in 2019, it’s a virtual certainty that somebody you know will have a multi-material putter shaft in the bag this season. Let’s wrap this up with the kind of product you’d expect to find any on any best of PGA Show list. 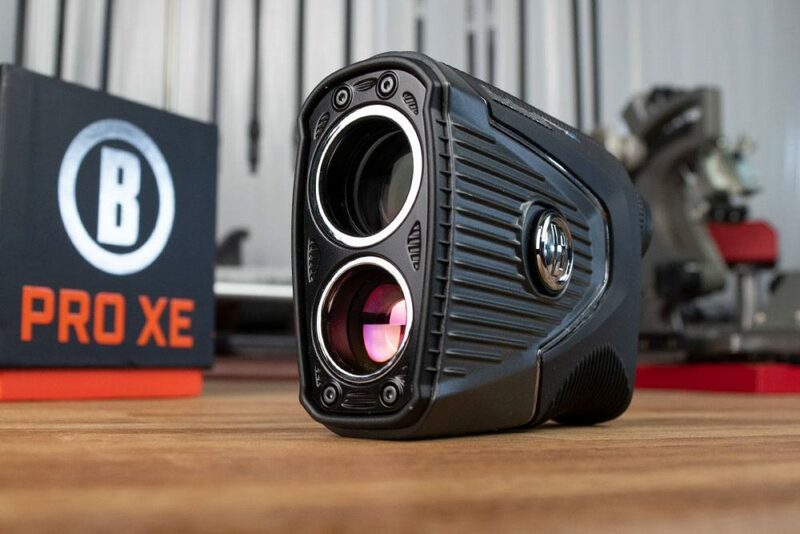 Significantly undercut on price by upstarts like Precision Pro and Tec Tec Tec, it stands to reason that Bushnell, the industry leader in the golf rangefinder category, might be feeling increasing pressure to justify asking consumers to spend a few hundred bucks more on its products. At $549, the Pro XE doesn’t sacrifice Bushnell’s premium price position in the market, but that extra cash will get you a robust selection of standard and new features. The most compelling feature of the Pro XE is Bushnell’s new Slope Algorithm. Instead of relying on simple geometry to calculate a Play As distance, Bushnell’s new flagship model collects temperature and altitude data (it sounds like an onboard barometric pressure sensor) and integrates them into its ball flight calculations to make that Play As distance significantly more accurate. Granted, the feature isn’t exactly tournament legal but most of us won’t care, and for those who do, with a simple flip of a switch, you can make the Pro XE 100% conforming. If that weren’t enough, the Pro XE features a built-in BITE Magnetic Mount which lets you stick it to the side of a cart with no additional hardware required. Bushnell has also updated its Jolt Technology to provide even more feedback and by extension, confidence when locking on to targets. A carry case is also included. What did we miss? What new products do you think will have the biggest impact on the golf equipment market? Interesting products but why am I not surprised at the Titleist offering. They had a C16 driver that was a fortune, their average offerings are a fortune and what have we been getting, substandard distance and performance at a premium price. They develop their version of the hollow iron and PXG has their hollow iron and Callaway has their Epic irons and for some reason they all want $3k for these things while the performance is no better than a 799.00 set of irons. The golf industry wonders where everyone has gone and courses are closing right and left all across the country. Fool me once fool on you, fool me twice fool on me. I will not be a victim of gimmicks. I won’t say the brand so it won’t look like I’m picking or preferrng one over the other but one company puts out consistant and quality products every year and it’s made in USA. With prices like these how can the industry continue to grow golfers! If the way forward is single-seater carts, I have an inkling that it will end up being a scaled down version of the current/ common two seater. Given that a lot of the games is played by older golfers I don’t think the quad style/ throw your leg over the seat 80-100 times per round will appeal to senior golfers. Anything to report on the best of training aids from the show? Tony, Glad you included Lynx Prowler VX Driver in your PGA show highlights. I tried it at the Show, & had a long chat with the Lynx guys. The switch face is a breakthrough for club fitters like me. The adjustable hosel on modern drivers does not alter the actual loft or face angle of the face. Now we can really measure the effect of the face as a separate variable in the fitting process. Great job, Lynx! Agree. Wishing much success to Lynx on this design change. Very happy with my current driver but hope I get a chance to try this idea out. Makes sense in theory anyway. Have gone out on a limb more than once with something unusual or radical- had some very pleasant surprises along the way. 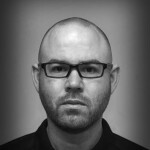 Has there been any significant development in swing analysers? These burst into the market a few years ago but the tech development seems to have stagnated. I was going to ask the question. Not much on any training aids at all. The single rider cart would be more intriguing if it had a remote feature that would allow you to walk the fairways and then ride between holes etc. I don’t think I would buy on unless it had that feature. If I’m playing in a 4 some I would choose the two seater unless the one seater had the walk feature, otherwise I would always rent the 2 seater. I think the new E.R.C. Balls will be a big hit. They are priced competitively, soft, long, and the linear lines will help with putter accuracy. Callaway knows how to appeal to the everyday golfer. Priced competitively? Really? $39 for a distance ball with racing stripes? Haha pretty funny. Trying to decide between a new Evnroll & Stroke Lab…tough choice! Also need a new range finder, but going to wait until a manufacturer has a “Bryson” model that includes slope, temperature, humidity, wind direction-speed-gusts, altitude, compass, & the sun’s position in reference to the grass’ bend. With future iterations of “Bryson’s Model”…….all being the same size and weight. Remember there are no miss hits with EVNROLL………all putts go to the same place no matter where the ball hits the face. If my memory serves me well, Leupold has included both temperature and altitude (manually entered) in its slope models for almost 10 years now. Don’t forget the cost in manpower to going to a single rider cart. The cart guys have to drive in, wash, store, and drive out then park ready for usage every cart. If you double that workload you will have to employ more people to do it. I am in complete agreement on the new Ventus shafts. We were very impressed with the testing of this shaft at Demo day in my M5 driver head. I have them coming from Fuji for both the driver and my just received M5 Rocket 3 14*. Other close friends are awaiting arrival of theirs as the testing was extremely good. It was my number 1 product of the show! The CNCPT irons have an interesting look with peripheral – toe weighting around a rounded cavity back. This appears to be a much simpler design than some of the multi component iron structures in the marketplace. It follows these heads should be very simple to make either by casting or machining. The premium cost will be because they think they can get it from the consumer not because it costs more to make. As usual Tony, lots of great and useful info. Thx much for passing on your thoughts on the latest and greatest. Have you heard any buzz from the Hogan company regarding any new products or launches for 2019? Very Interesting. The two that intrigue me most would be the putter shafts and if it really would create more stability and balance. The next would be the fujikura shaft. Having just bought a pro 2.0 tour spec, I’ve a bit bummed that I didn’t wait to try out the Ventus. However, my results the the 2 TS were no joke from club champion and hopefully it turned out to be the right call. For me, it seems like the shaft market is truly making a change over the past 3 years with much more premium offerings being part of the “stock”. In a matter of 3 more years, something as good as the T1100 or the ventus may be the stock shaft choice we get in drivers. Certainly it will still come down to being properly fit, but it definitely helps to have quality materials from the start. Tony, I guess that you are a guy that realllllly loves new golf shafts. Three of your top 9 are golf shafts? Seriously? Out of the hundreds, and hundreds of new items at the show 1/3 of your top picks are shafts? You can’t tell me that there was some small company at the show that had something newer, with more innovation/break the mold gadget or accessory that would be worth mentioning. Maybe i was looking for a top 9 most interesting items, so that’s my fault. You did say you wanted to make sure you listed items that should have longevity . . .
Just from the feel perspective, I’m surprised they don’t see more tour usage. Especially when some galah like me see marked improvement in consistency. Might make that 0.1% difference to the Tour pros, but I think that’s why Dechambeau is doing so well. Finding all the 1%s he can, otherwise he’d be a top 50 golfer, rather than a top 5 golfer. But how much innovation would you expect to see with so much regulation to conform? Nice summary of new products Tony. I’m also excited about the optic yellow ProV becasue of the possible the trickle down effect on tour level balls from other companies. To see that Bridgestone is coming out with one already is a good sign. Now I’m just waiting for others to follow – specifically TM and the TP5. Welcome to the yellow tour ball party Titleist and Bridgestone! I have been playing the Srixon Z-Star XV tour yellow golf ball for 10 years. Really not sure what is so exciting or innovative about something that has been on the market for that long? The 2019 PGA show must have been really boring if those made the list! Interesting write up, Tony – thanks. As a 62 year-old lifetime golfer who hopes to play a lot in the near future, I really don’t care that pros are still playing steel shafts in their irons. My clubhead speed has little in common with theirs. My first foray into graphite shafted irons was less than stellar, but that won’t stop me from trying again. As for TPT, yes, at $ 250-500 a shaft, my ribs hurt from laughing at the price point, especially in learning the first draft of them had breakage issues. No offense, but I wonder if what you are really impressed with coming out of the Show, are the price points the OEMs are seeking to command while “out-PXG-ing” each other, LOL.